Food intolerance testing at the Brisbane Livewell Clinic is fast, easy and very effective. If you have chronic pain or health issues that you just can’t seem to resolve, the problem could be food related.We offer a test that reveals if a patient has igG antibodies when he or she eats a certain food. 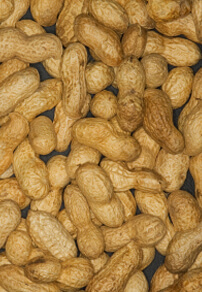 We test for a variety of foods that are common among those with intolerances including gluten, nuts, eggs, milk, mushrooms, broccoli and tea, to name just a few.Food Intolerance Testing includes testing for Corn, Durum Wheat, Gluten, Oats, Rice, Rye, Wheat, Almond, Brazil Nut, Cashew, Cocoa Bean, Peanut, Legume Mix (pea, lentil, haricot), Soya Bean, Walnut, Beef, Chicken, Lamb, Pork, Freshwater Fish Mix (salmon, trout), Shellfish Mix (shrimp, prawn, crab, lobster, mussel), Tuna, White Fish Mix (haddock, cod, plaice), Broccoli, Cabbage, Carrot, Celery, Cucumber, Leek, Peppers (red, green, yellow), Potato, Apple, Blackcurrant, Grapefruit, Melon Mix (cantaloupe, water melon), Olive, Orange & Lemon, Strawberry, Tomato, Egg (whole), Cow’s Milk, Garlic, Ginger, Mushroom, Tea, Yeast.Food Intolerance Testing is completed in-house and tests 59 different foods. An initial consultation, testing, results and post consultation can be completed within a week. Additional, complimentary diagnostic testing is also included to address toxicity and imbalances in the gastrointestinal tract often associated with a food intolerance. Trudy Cadoo and Kat McCulloch conduct food intolerance testing at Brisbane Livewell Clinic. They are naturopaths who specialise in a wide range of issues ranging from weight loss, nutrition, and detoxification to stress and mood disorders, metabolic syndrome and fatigue. Through the process, they will use different diagnostics tools including our in-house testing. Herbal and natural remedies may be prescribed.